Creative. Innovative. Original. 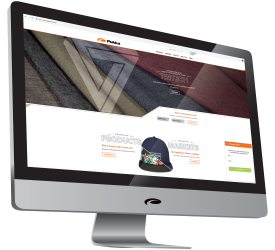 Pukka has always been the leader when it comes to setting trends in the Golf industry, and they have done it once again with the launch of their new website. Aesthetic and functionality were a large part of the initial objective, along with enhanced navigation and a more effective capture of Pukka’s ever-expanding customer reach. “We have always stood out in the Golf world” said Shawn Rogers CEO. “Our new site is a direct reflection of our company culture and the passion we all have to push the boundaries and do things no one else is doing. We have invested a lot in technology, and this is only a glimpse of what’s to come”. The addition of features like a live chat and an enhanced product search component will allow viewers to find what they are looking for in a timely manner. The Headwear 101 section will be a great resource for viewers to educate themselves on the differences between certain headwear specifics as well as how to place an order. The news section along with an increased social media presence will keep customers up to date on what’s new. Pukka was born from a desire to give the small guy access to the same quality and craftsmanship that is traditionally only available to large brands, check out our new site at pukkainc.com to see this fully on display. The purpose of the OHSBCA is to unify all baseball coaches in the state of Ohio, to promote high school baseball, to create an official line of communication with the Ohio High School Athletic Association (OHSAA), to foster higher standards of professionalism and ethics, and to maintain a strong contact with national, state, and local coaches organizations of baseball.